We know we’ve said it one hundred times before, but we’ll say it again just for good measure: we survive as a charity solely on the strength of donations raised by grants and fundraising. 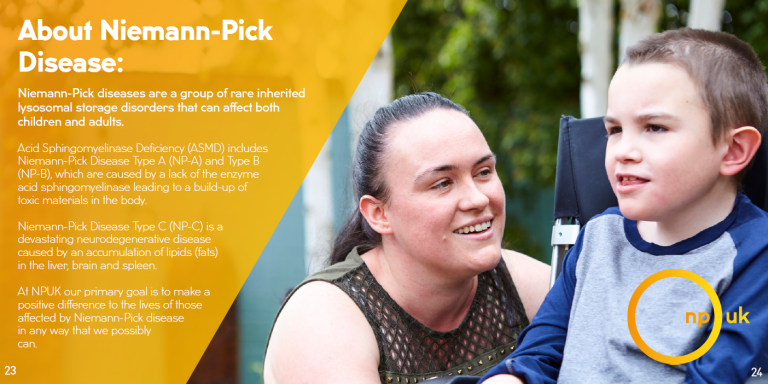 Without these we simply couldn’t exist, and as a result we wouldn’t be able to provide vital care and support for those individuals and their families affected by Niemann-Pick disease…and that’s why small charities, like Niemann-Pick UK, can often find themselves struggling when it comes to funding. Which is exactly why we refer to each and every NPUK fundraiser as a hero, because to us…they truly are. 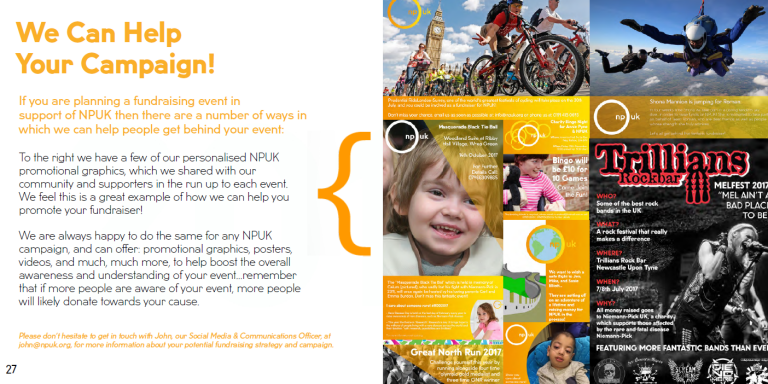 But in case you are wondering why you should get involved, and what sort of change you can really make as one of our amazing fundraisers, we’ve put everything you need to know into the official NPUK Fundraising Guide – your one-stop-shop for fundraising with NPUK (see below, download available here). Sometimes the best inspiration comes from seeing others in action; as this can often spur us on, and push us to do things we previously thought impossible. This is true with fundraising more than anything. So if you are thinking of becoming one of our fundraising heroes (well done, good decision – kudos to you!) why don’t you check out a few of the stories below…they are sure to give you some motivation, and make you see that although it can be challenging, volunteering and raising funds for a charity can be an amazing thing to do. 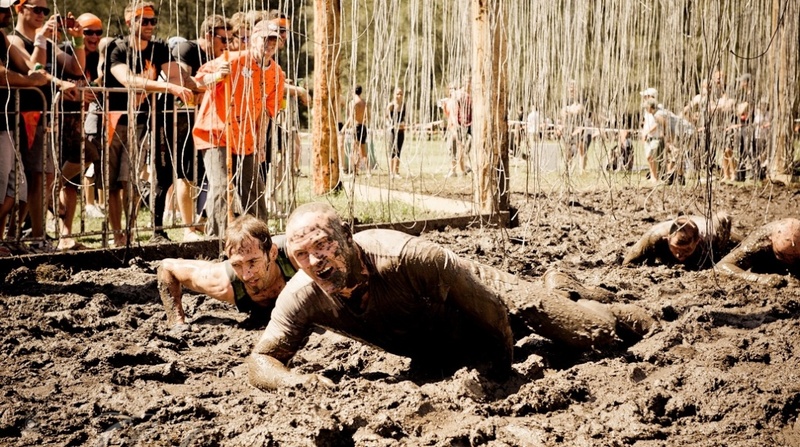 I mean I don’t know many walks in the park that have included trials like an ‘Arctic Enema’ (a large tank filled with icy water, in which participants have to pass through), ‘Electroshock Therapy’ (live wires which hang over a field of mud – zapping anyone who gets in their way…ouch! ), ‘Everest’ (not the mountain, but instead a quarter pipe slicked with mud and grease), or a ‘Funky Monkey’ event (which sounds harmless enough, but actually refers to a set of monkey bars slicked with butter above a pit of freezing cold water). I think you get the point – it’s incredibly difficult. But our spectacular fundraisers dug deep, and all finished the course…showing that when it comes to raising funds and awareness for NPUK they really mean business. In a small rock bar in the centre of Newcastle Viki and Melanie put together the second ‘Melfest’ event, which was yet again focused on one thing: rock music as a unifying force for good! Trillians was packed out, full to capacity of people coming together to enjoy a great show for an even better cause – Niemann-Pick UK. There were seven live sets in total, and this made for an incredible buzz as the musicians and fans alike celebrated late into Saturday night! There were wide smiles, tears of joy, and countless shredding guitar solos…and by the end of it all thanks to everyone’s generosity ‘Melfest 2: Highway To Mel’ had raised more than £1,500 for NPUK. We are often simply blown away by our NPUK fund-raisers; and the above is a sterling example of why this is! In what was surely a gruelling test of endurance, Issi and Jamie raised money and awareness at the ‘Prudential RideLondon Surrey 100’ in the name of NPUK. 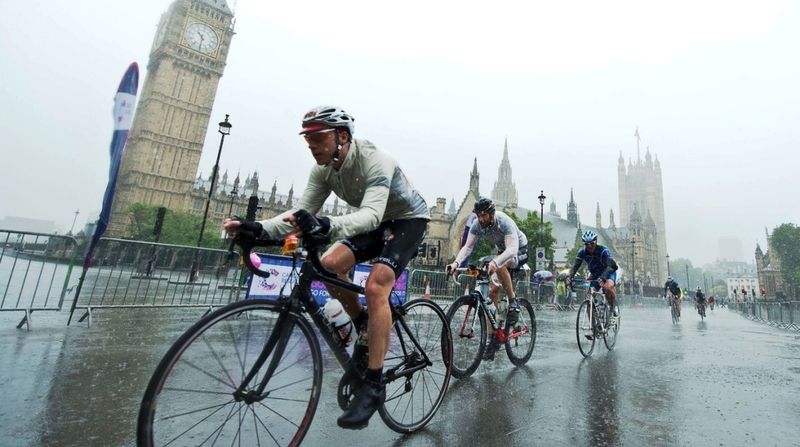 The event sees more than 26,000 amateur cyclists take on a cycling challenge like no other through the open routes of London and Surrey; starting in Queen Elizabeth Olympic Park and then following on through Surrey’s winding country roads until finishing back in central London. Issi and Jamie did all of this whilst proudly wearing our NPUK t-shirts – they’re a true inspiration for everyone out there wanting to get involved in fundraising! 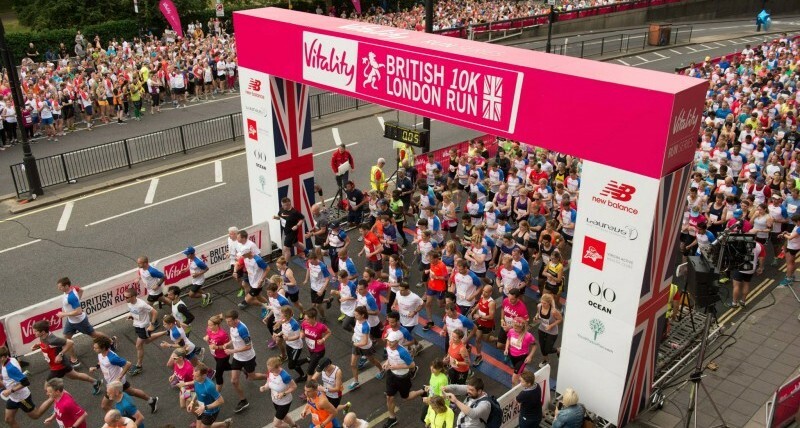 Look at all of those people running in the name of NPUK on the world’s greatest road race route – ‘The Vitality British 10K London Run’. It’s incredible, and we feel very fortunate to have such committed and driven people supporting us in all we do. 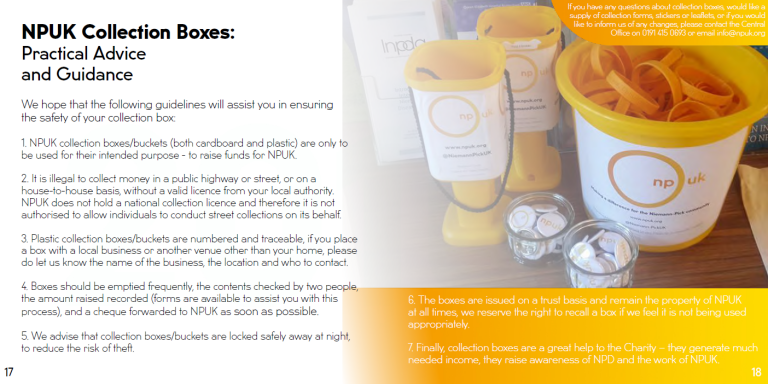 This event is especially noteworthy as it takes place in such a public place and is heavily reported in the media – which means thousands of eyes are on our NPUK supporters. Runners pass by well renowned iconic landmarks such as; the London Eye, Big Ben, and the Houses of Parliament, whilst huge crowds cheer them on. Here our runners proved, as they do every year, that fundraising can be fun too! If you’re a UK tax payer you can Gift Aid your donations to NPUK – making them worth 25% more to us, but at no extra cost to you! You see we are able to claim back the tax you have paid on your donation (at a rate of 25p for every £1 you donate) through this scheme. 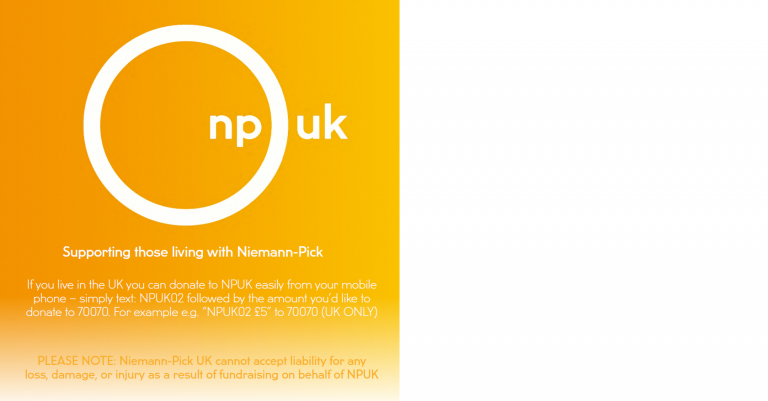 So just for a quick example, for every £10 donated, we can claim an extra £2.00 from the Inland Revenue…which can go directly towards our charity’s core functions – the care and support of those affected by Niemann-Pick diseases. But wait – it gets better! If you happen to be a higher rate tax payer: so that’s an individual who pays tax at 40%, the amount we are able to get back is a little higher – and instead works out at as 25p for every £1 you donate! And again, if you are in the highest rate of tax payers: paying tax at 50%, it works out as 37.5p for every £1 donated. Making it very worthwhile indeed for you to sign up! Once you have signed the Gift Aid Declaration Form (see below), we can claim Gift Aid on any future donations you make to the charity as well – making it even easier for you to help NPUK, and all at no extra cost to you…it’s a no-brainer! And lastly your filled-out declaration form! The last one is an important one, as using that we can claim Gift Aid on all of your donations in the last four years and then on all future donations as well! If the concept of giving money to charity, at no cost to you, has you raising a curious eyebrow – then join the club. But it truly is a fantastic scheme and can help NPUK continue with all of our important work! But if you have some questions then don’t hesitate to call, we can talk you through everything from the form to the specifics of Gift Aid itself.